With leftover banchan from some Korean dishes I made over the weekend, today's lunchbox was pretty fun for me...both in putting together and in eating. I decided to make another one for tomorrow! Will I succumb to the dosirak/bento-box craze? Probably not. Is my lunchbox artistry anywhere near those of some of the masters (see here and here for examples)? No. 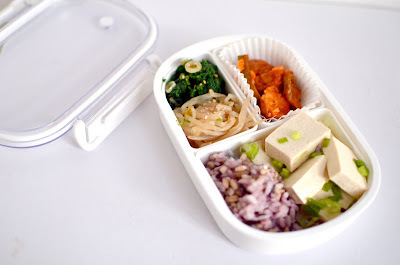 But I certainly enjoyed the pretty colors, the variety of flavors, and the complementary textures in my own humble lunchbox. 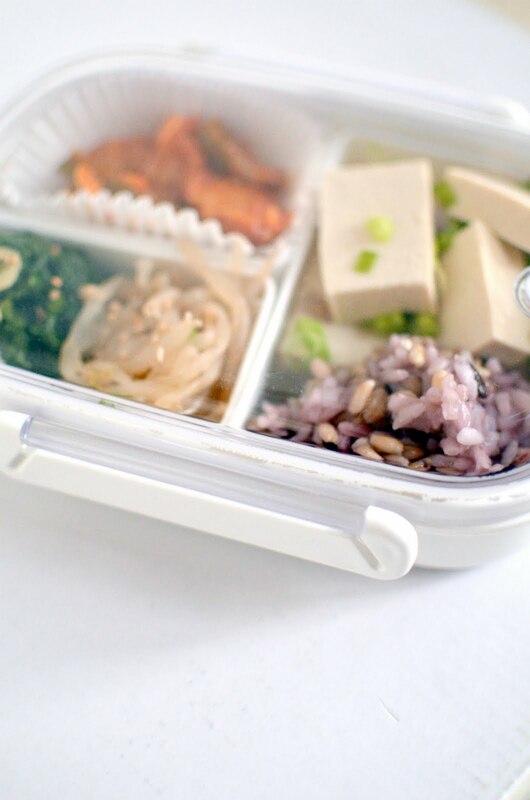 I love my little lunchbox: three separate containers that keep the food organized, and if you want to heat up only some of the dishes, you can easily lift out whichever dish you choose before popping the rest in the microwave. The lid snaps on and has a great seal. Here I was able to fit kale namul, kong namul (seasoned soybean sprouts), eomuk bokkeum (spicy fried fish cakes), ogokbap, and tofu with green onions. Not pictured, but oh so delicious with this lunch, were my oisobagi (stuffed cucumber kimchi), Napa cabbage kimchi, and musaengchae. 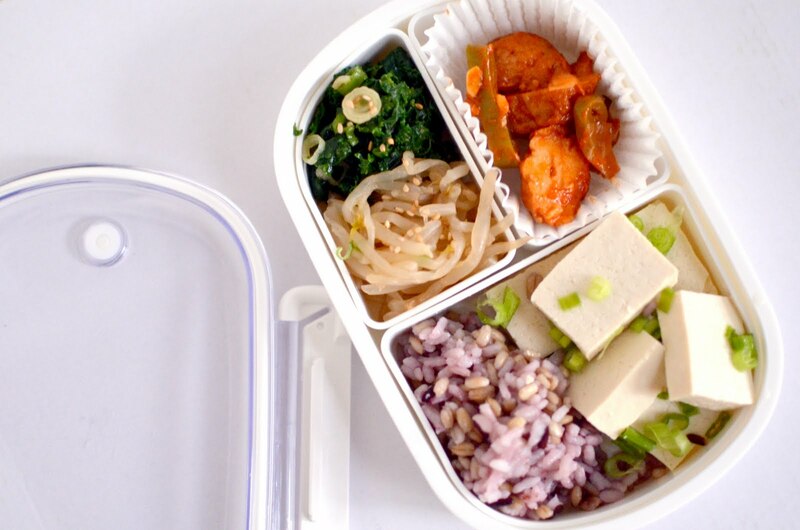 The cool and spicy, pungent and salty kimchi was the perfect complement to the lunchbox. Yum! wow my lunch box never looked this colorful! you always tempt me so much with Korean cuisine. i love it too!